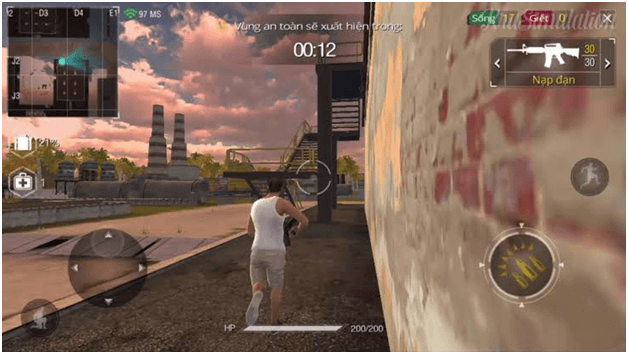 About – Free Fire Battlegrounds is an electronic game for mobile platforms of action-adventure genre Battle Royale published by Garena and developed by 111dots Studio also known as Garena Free Fire. It is inspired by PUBG (PlayerUnknown’s Battlegrounds), another game of the same genre. After the grand success and popularity of PUBG on Windows and other computer platforms, the zone of Battle Royale games have opened, and users are engaging more and more to such games. If you don’t know about Battle Royale games, let us tell you about it. A Battle Royale Game of a genre of electronic game that mixes exciting elements of survival, exploration and search for weapons and types of equipment, found in the game. It starts by challenging a large number of players, commencing with minimal equipment, searching for weapons and armors, and eliminating other competitors without being trapped outside a “safe area” which shrinks over time. The last survived player called as a winner. It is available only for Android and iOS, but we will also tell you how to download Garena Free Fire for PC too. PUBG Mobile has enhanced the popularity and gameplay of Battle Royale games. 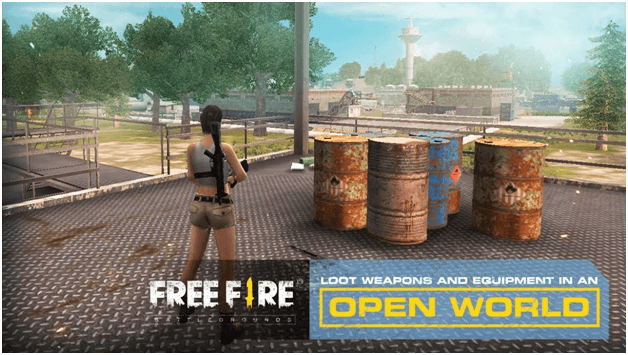 If you are bored of playing PUBG and want something new for the entertainment, then you should definitely try Garena FreeFire Battlegrounds. 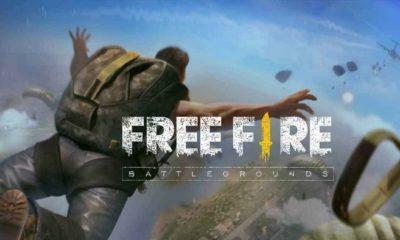 Unlike PUBG Free Fire includes a total of 50 players who fall from parachutes on a deserted island in search of equipment and weapons to kill other players. All the players choose the starting position at their will; pick up supplies and weapons to increase the lifetime in battle. With over 100 million downloads only on Android devices, Free Fire became an instance of success. It is one of the most downloaded Android games of 2018, taking over other great games lie Clash Royale and PUBG Mobile. Garena Free Fire won the title of the “Best Game in Popular Vote” by the Google Play Store in the year 2018. 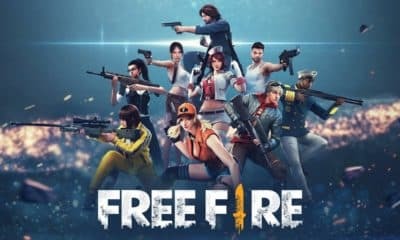 So these all the features and popularity make Free Fire Battlegrounds one of the best alternatives to PUBG and one of the best favorite Battle Royale games. You can also find the mod and cracked Garena Free Fire battlegrounds on some websites. OS version Support – 2.3 and up in Android and requires iOS 8.0 or later. Garena and 111dots have done a lot of hard work to provide this game to every player. The game is easily available for both iOS and Android users on their respective app stores. Free Fire is available for free on Google Play Store and Apple App Store. 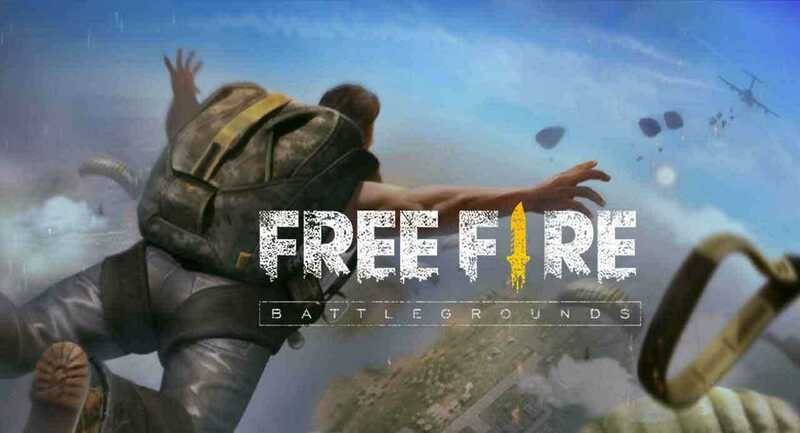 There some sites that provided Mod and cracked APK of Free Fire Battlegrounds, but in our opinion, clearly there is no need to use those APK since the official version of the game is easy to download, and every user can play it without any flaw. Find the download link of the game for Android and iOS below. Playing games on a bigger screen is so much fun and adventurous than playing on mobile devices. So here we will tell you hacks and tricks on how to download and play Free Fire on your PC for free. The official version of Free Fire Battlegrounds game is not available for the PC and Windows platform. But we can install Free Fire Battlegrounds with the help of Android Emulators. Android Emulators are the software available for Windows and Mac OS that allows users to install Android apps and games on the computer or laptops. This software creates and provides an Android platform and runs its application and games smoothly. There are a lot of options available in the market choose any Android Emulators according to your need such as Bluestacks, MemuPlay, NoxPlayer, KO Player and many more. The detailed step by step guide is given below to install and play Free Fire game on the computer or Windows PC. Step 1 – Download and install an Android Emulator on your PC first. We have used Bluestacks, and we will recommend it for its smooth functionality. Step 2 – Launch Bluestacks emulator and log in with your Google account to run the Google Play Store. Verify with phone numbers if phone verification is needed. Step 3 – Now search for “Free Fire” in Google Play Store on Bluestacks. Step 4 – Now install Free Fire by clicking on the install icon. Step 5 – Once the downloading is completed, you can find the game in the “My Apps” or “All Apps,” and you can play Free Fire on PC. Step 6 – After this, launch the Fire Free game and select “Mouse and Keyboard” icon, shown at the bottom to use them to play Free Fire game on windows PC. Step 7 – You can customize the control settings and which buttons to use for controlling and play or you can go by the default control settings. Garena Free Fire is an action-adventure genre battle royale seen in perspective in the third person. You need to have a personal account in the game, so to start playing; you need to create an account in the game where you can have the right to choose whether you want to connect to a social networks account like Facebook, Twitter and others. After a successful login, the player must configure his profile and explore the game to gain knowledge about the game, and learn methods used to play the game. Once all this is done, the player can start a game by tapping on the “Classic Mode” or Ranked option on the Battlefield and then wait until the plane goes over the island. The players can jump wherever they wish, allowing them to choose a strategic location to land away from enemies, as long as the plane is flying over. Upon landing on the island, the players must go out and collect weapons and other utilities and supplies. They have to collect medium and large weapons, bulletproof vests, grenades, backpack, protective helmets, machete, and many other items presented in the game can be found on the island. The ultimate of any player is to survive till the end, and for this, it is necessary to kill all the other opponents that the player finds along the way and ensures that he or she is the only survivor. We do love the graphics of Fortnite Battle Royale and PUBG. But Garena Free Fire is not lagging from them. Developers have rendered a beautiful job by providing amazing graphics on the mobile game versions. The performance of playing Free Fire Battlegrounds on iOS and Android is different from each other. The icons on the game (While playing) are easy to handle and user-friendly. Even a new trainee player can learn the game within a few times and can be a pro player. The motor of the game has been designed by Unreal Engine 4. The various functions of the game such as with the tools, play, change, shoot in the face, when to compile, exit, and tighten escape, make the change, play and repeat. This iteration process time has been decreased from previous engines, and now it is way faster responsive. In the game, there is a wide range of various weapons and usable items to be able to kill other players. 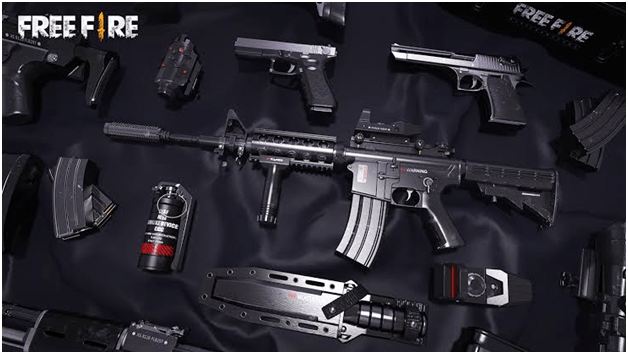 These weapons include the category like the launcher, SMG ammunition, Ammunition AR, Ammunition SG, White Gun, Bow, Gun, SR ammunition. There a lot of other weapons and items under these categories mentioned above. For regular updates about Garena Free Fire game visit this blog regularly. So in our opinion don’t bother to find the terms like how to download cracked and mod APK of Garena Free Fire since the official available APK file is easier to use and is available for free on App Stores. You can download the game directly from the Google Play Store, and Apple App Store or else the download links are given above in the article. So you can play this game as one of the best alternative game of PUBG and Fortnite. If you have any interesting facts about this game which you would like to share with our readers, you can share them in the comment section.